A portable shelter that can handle even extreme weather conditions. Designed by Advanced Shelter Systems, the new Shiftpod 2 takes the company’s ingenious portable shelter concept to a new level of functionality and convenience. Compact when in storage, the practical shelter expands to 144 square feet and a 6’7″ height, in under one minute. Indeed, the world record for a complete set-up stands at just under 18 seconds. Made with a patented six-layer composite reflective fabric, a fiberglass frame, and metal hubs, Shiftpod is tough and durable. The innovative “Dark Out” fabric is extra-reflective. 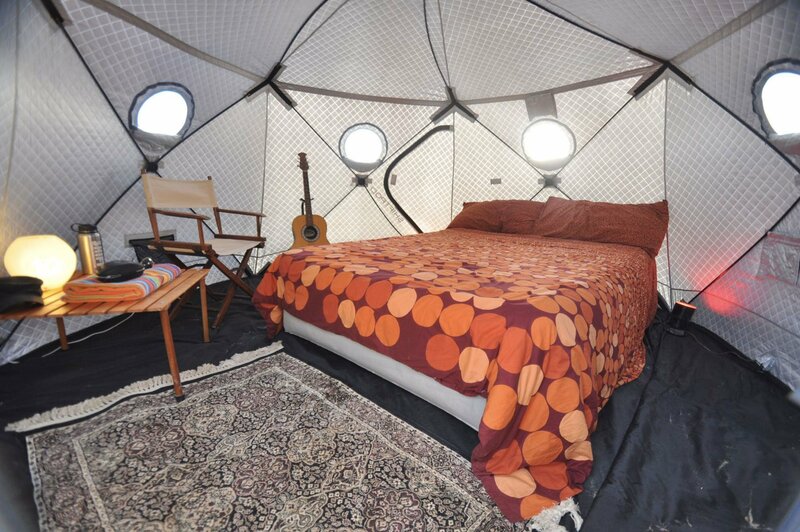 It remains cool and keeps out most of the light to make sleeping under bright sunlight as comfortable as possible. The shelter also features a water-resistant floor, synthetic down thermal insulation, and hydrophobic thread. Windows, doors, and vents allow plenty of air to flow in the interior, while bug screens keep unwanted guests out. 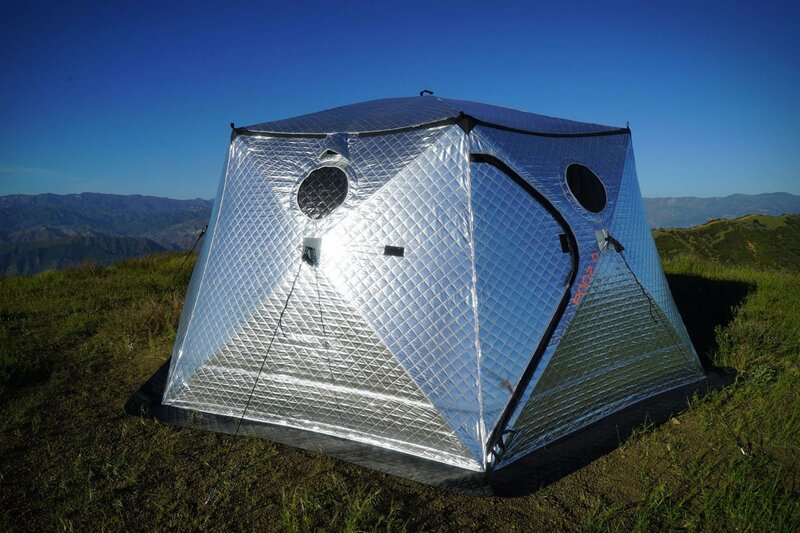 Easy to install, Shiftpod 2 comes with six stainless steel pins and a central roof pole for harsher weather conditions. Other features include multi-pocket wall bag organizers as well as combo locks for security. One Shiftpod 2 can accommodate up to six people, but the portable shelter is also compatible with the company’s tunnel system. This allows the user to connect more shelters in a lager unit if needed. When stored inside the 900D bag, the shelter is only one feet wide and six feet long, fitting inside small cars easily. Shiftpod 2 is available now on the company’s website at $1,299. Photographs© Advanced Shelter Systems.